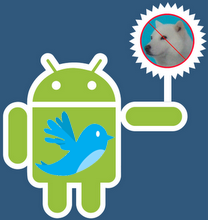 Edit: Help me out by letting me know which Android twitter client you prefer and why. How about accessories like URL shortners and pic hosting? Any clients integrate with goo.gl? I've never been a fan of twitter, but I'm surprised how quickly it has taken off in Japan, especially with the tech guys. Oh well, so here I am on twitter. I was planning on using SBS, but silly me, that's Australia's Special Broadcasting Service. Instead I settled for @SBSdroid. You won't be hearing what I'm cooking for dinner, but you may hear about ROM焼き. haven't tried anything other than the official twitter app on my Desire HD. I've tried only Tweetdeck and the Twitter client - and I prefer the official Twitter client due to simplicity. I'm busy and use only for tuning in to rare broadcasts from people who interest me. I only got on Twitter because I thought it might be a defacto cheap replacement for international SMS. And I don't need any mash-up client since I only have Gmail and Twitter (no FB, etc.). But I found Gmail and associated services to still be my communication vessel of choice. I guess twitter is better than a mailing list if you are popular, when you broadcast. So rock-on SBSdroid...I follow. I like twicca a lot. It looks nice, seems to have a lot of options for customization. Allows me to take and upload videos as well as pictures. Did you know you can create short urls with Shortest and receive dollars for every visitor to your shortened urls.